Under the circular, an initial and preliminary investigation and assessment on the level of pollution will be made within the first 10 days after an oil spill is reported. If the investigation shows the level of oil in the water is higher than national standards, a more detailed assessment on environmental damage will be completed within 20 days after the preliminary investigation results. The detailed assessment result will be used to classify the oil spill’s impact on the environment. Individuals and organisations must make plans to deal with the oil spill if the area of water polluted beyond national standards is 25 per cent more than the total area under assessment. In other cases, regular analysis and assessment over the seawater environment must be carried out once a week and reviews of the development of environmental pollution caused by the oil spill will be made every 15 days. If the environmental index is higher than the allowed standard, responsible individuals and organisations will be required to devise a recovery plan. The recovery of oil spills will be supervised by authorised angencies. Supervision will focus on environmental index and the recovery of the marine ecosystem and marine creature in affected areas. The circular will take effect from March 12. There are many causes for oil spills such as collisions, accidents of water transport vehicles (especially oil tankers), oil rig incident or oil spill incident due to geological changes. More than 200 litres of oil spewed into the world-famous Hạ Long Bay in northern Việt Nam in August, 2017 when a pipe used to transfer the fuel between two tankers ruptured. 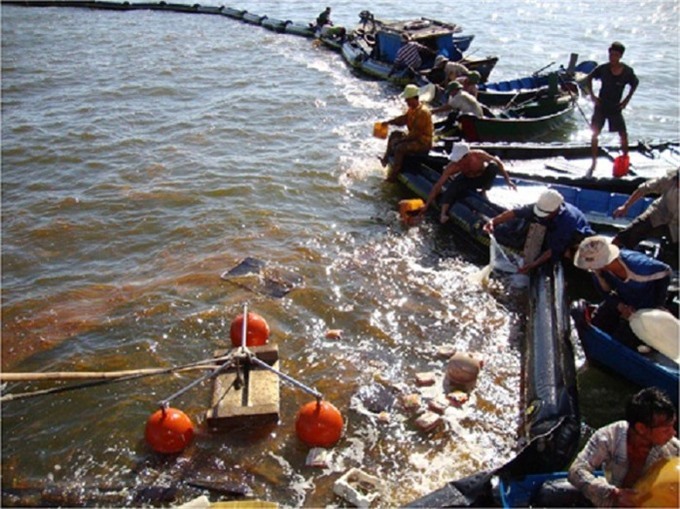 Statistics show that an estimated of about 200 million tonnes of oil are transported each year through the sea in Việt Nam. About 10 oil spills have been recorded annually.